Microsoft recently purchased Nokia and promptly announced the Lumia 950 and 950 XL. In fact, if you purchase one of these new phones from Microsoft you can get the Microsoft Display Dock for £79.99. But which model should you choose? While both of these phones have been released since October, they’re relatively well known. That being said, is the Lumia a brand of phone that you would want to purchase? Both phones are loaded with features, according to Microsoft, providing faster-typing abilities with the Word Flow keyboard and information at a glance. However, these features alone aren’t what’s selling the Lumia. Most customers love the connectivity between their PC and their phones, as well as the security that comes along with Windows 10. What’s Different Between the Microsoft (Nokia) Lumia 950 and the Lumia 950 XL? According to Microsoft, the Lumia 950 XL works just like your PC, delivering great quality display and powerful processing abilities. It also comes equipped with a powerful 20 MP camera sensor with triple LED flash opportunities and top of the line ZEISS optics that deliver unmatched quality and precision. It also comes with a 3340 mAh fast charging USB-C charger and even wireless charging if you prefer. Another stand apart features about the Nokia Lumia 950 XL is that it can connect directly to your computer or external monitor, just by docking into the Microsoft Display Dock. This means that you can use your phone with a keyboard and a mouse, giving you far more ability to be productive and create a work environment with just your phone- meaning that it REALLY works just like a Microsoft PC. Additionally, the Lumia 950 XL is slightly larger than the Lumia 950 (and also slightly heavier). Both are made primarily from plastic, consist mainly of AMOLED technology, and include light sensors, proximity sensors, and even scratch resistant glass. The Lumia 950 XL has more pure processing power than its’ predecessor, despite having the same system memory. You’ll love the extra capacity, even though phonearena only gives it an estimated 2 hours longer talk time. Which is Right For You? 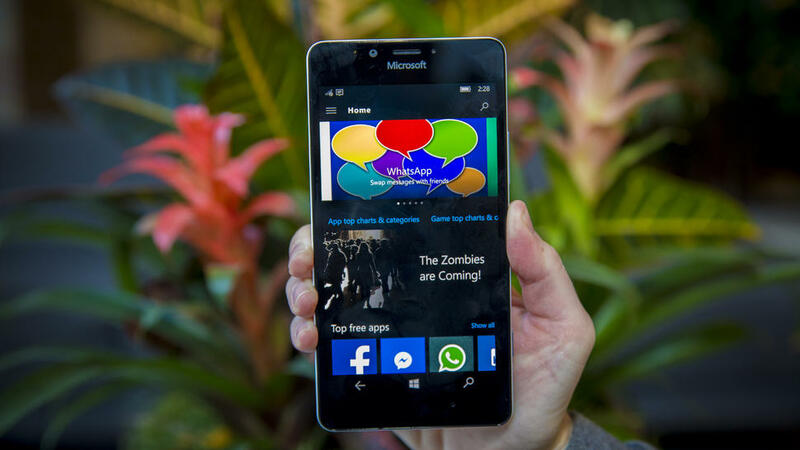 The Microsoft Lumia 950 or the Lumia 950 XL? If you love taking pictures and want your phone to stand up to high demand apps, you’re going to prefer the Lumia 950 XL. That being said, the Lumia 950 is considerably cheaper; if you don’t use your phone as much you might be interested in the lower-tiered model.